A friendly informal church meeting each Sunday morning at 10.00 at the Perranporth Memorial Hall. For more information please contact 01872573725. Eden's glittering ice rink is back and it’s had a makeover. Why not ave a whirl in our winter wonderland - everyone is welcome, from complete novices to figure skating pros. 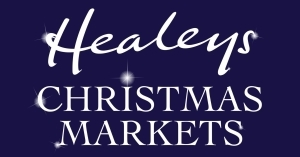 Healeys Christmas Markets will run every weekend from 24th November until 23rd December. From arts, crafts, food and plenty of Cornish cyder, the markets are set against the beautiful backdrop of a working farm. A family experience you won't find anywhere else with cobbled courtyards lit with magical lights, freshly cut Christmas trees, choirs, carols singers, farm animals, tractor rides, Sunday roasts and mulled cyder.